During the 1980s Sylvania rolled out an Energy Saving strategy across its entire light source portfolio. 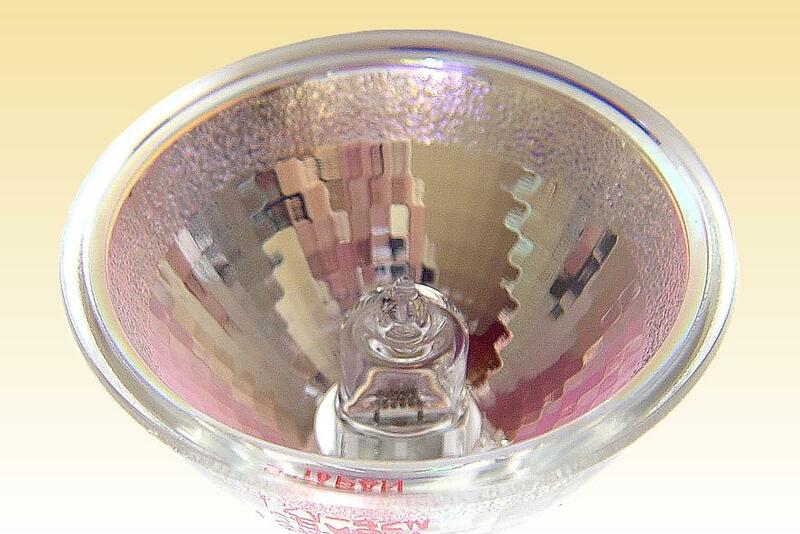 The tungsten halogen lamps were of course included, and several product categories were expanded to include new higher efficacy versions. First launched was a series of double ended linear sources, employing coiled-coil filaments and gas fillings of higher pressure and higher molecular weight to realise a wattage reduction of approximately 10%. A few years later low energy MR16 lamps were introduced, with the launch of this 42W rating to replace conventional 50W lamps. 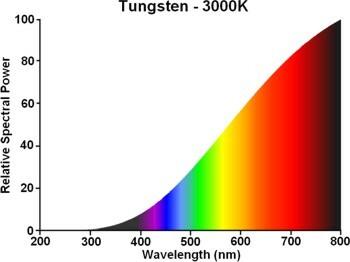 However in this case there is no real efficacy increase - the light output is reduced in proportion to the wattage. 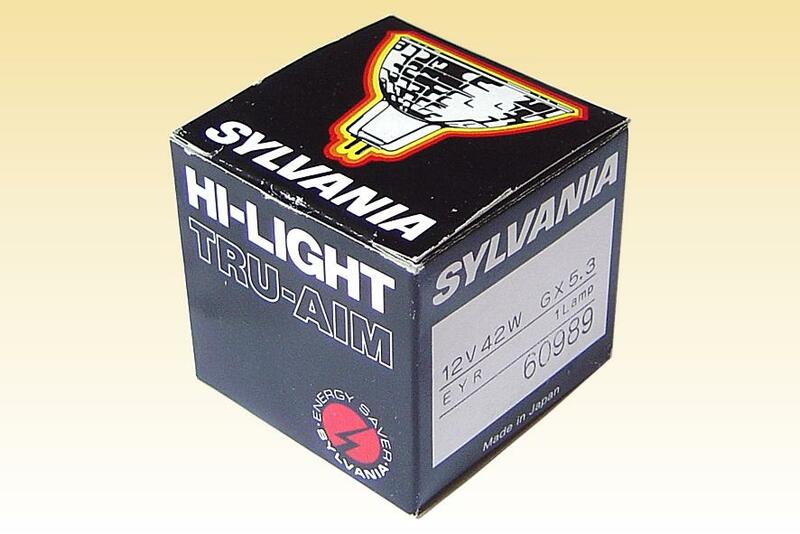 At this time Sylvania had no MR16 display lamp production in either its European or American factories, and the products were made the affiliated company Kondo Sylvania in Japan. This lamp thus shares many design features with the typical Japanese "JR" products of the time. 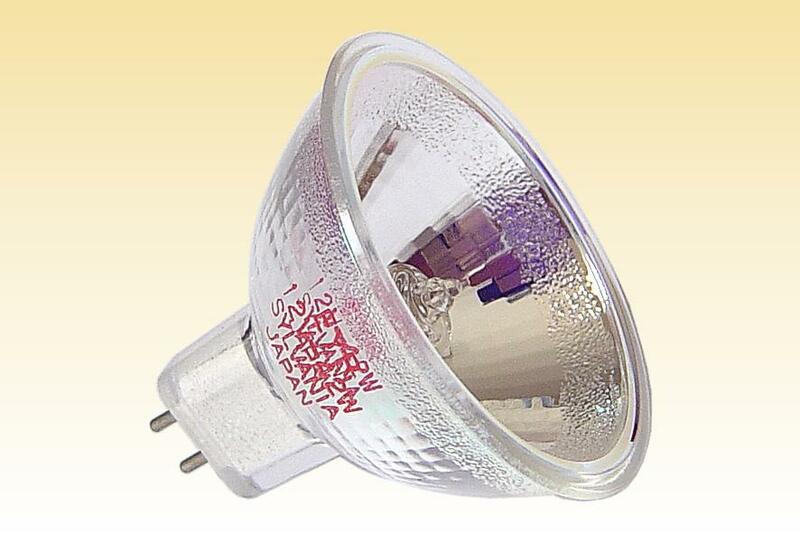 Unusually for such a low voltage and low wattage lamp, the filament is of a coiled-coil design. Although the coiled-coil does not bring about any substantial increase in luminous efficacy, it does permit the filament size to be reduced. 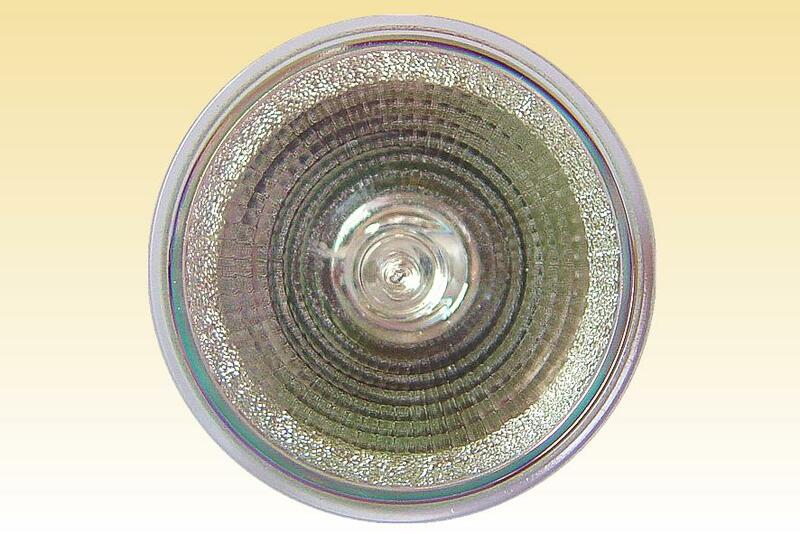 A small filament is of great importance in such a compact reflector, because it helps to increase the optical efficiency of the system. It also leads to a filament of lower aspect ratio, such that the resulting beam is more circular in shape. The reflector design also shows an unusual feature in that the surface is peened around the outer perimeter. The purpose of this may be to reduce glare from stray light rays being reflected from this part of the mirror surface.